Australian Catholic University (ACU) is one of the most reputable Higher Education environments in Australia. With its goal of teaching students ethically and critically, ACU continues to serve as an institution where students grow both professionally and spiritually. 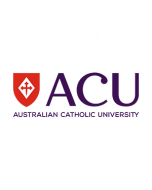 As a Catholic university, ACU is focused on teaching students good values and uplifting them so they will be good individuals even after finishing their studies. All educators at ACU are trained to use the skills and pass them on to students for future professional use. The students are also expected to grow personally so they can be better members of the community. Studying at Australian Catholic University is a satisfying experience for every student. With many courses offered, students are given the privilege to choose the field or area that they want to learn. Students at ACU can comfortably learn and do their daily school tasks and activities incorporating the latest technologies and modern facilities that the university offers. Also, students of ACU have a bright future ahead of them since they will be armed with enough knowledge and skills to get the jobs they want. They are expected to easily get jobs like academic jobs, research jobs and other university jobs. There are a myriad of job opportunities at ACU. All academic graduates have the opportunity to apply for academic jobs in ACU. These academic jobs require extensive skills, knowledge and experience in specific academic fields. All aspiring graduates are welcome to apply and be part of this reputable and trusted institution. ACU accepts all applicants regardless of their gender since the University promotes gender equality and career development of every deserving individual.